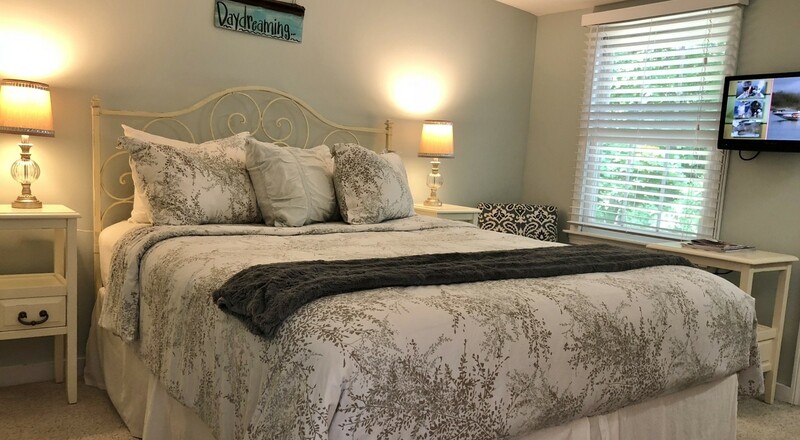 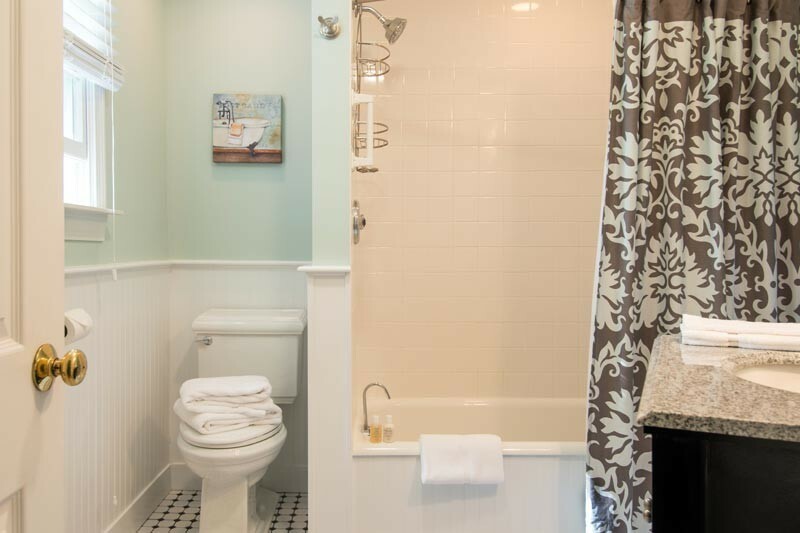 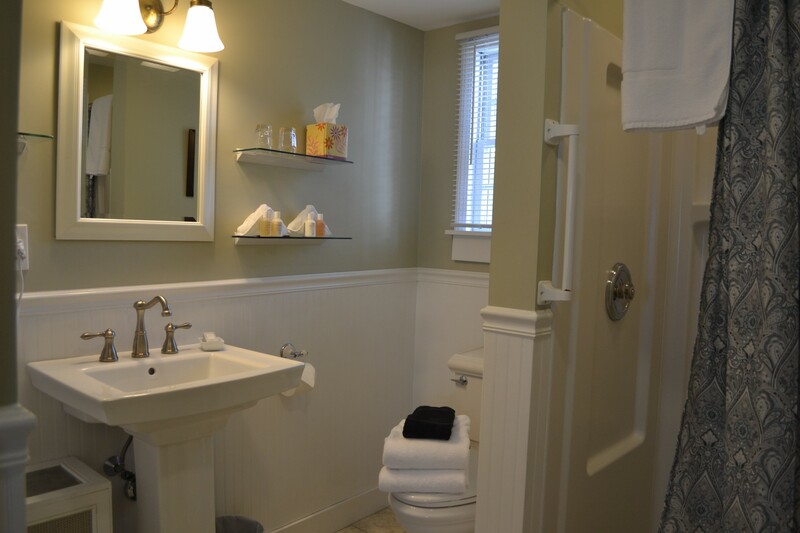 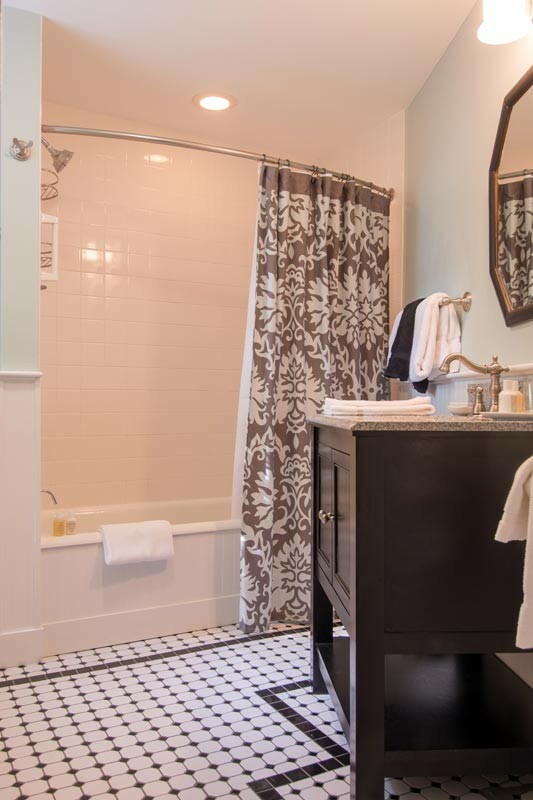 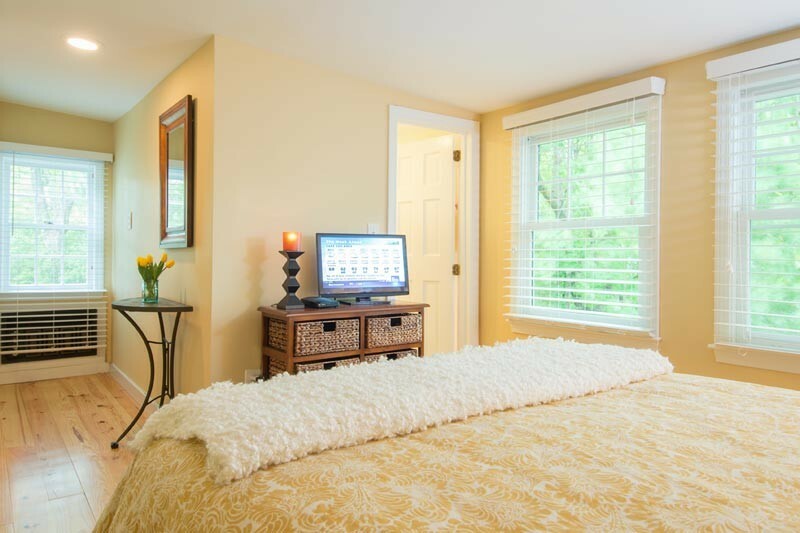 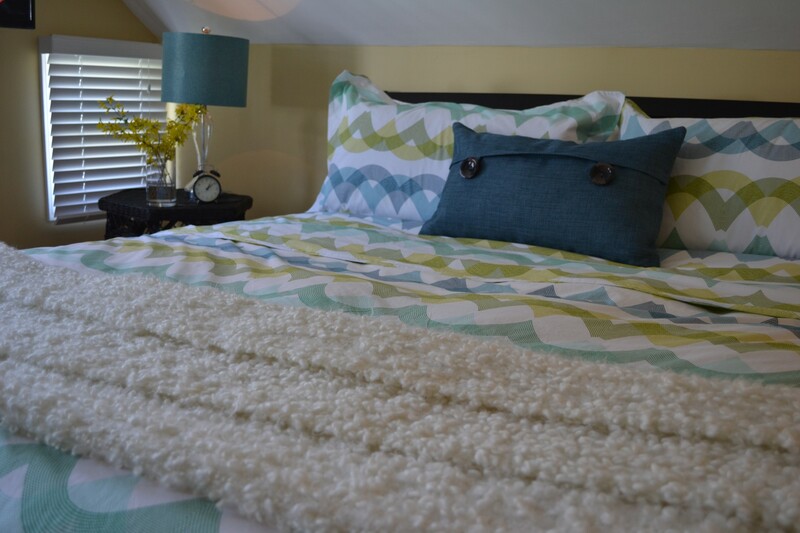 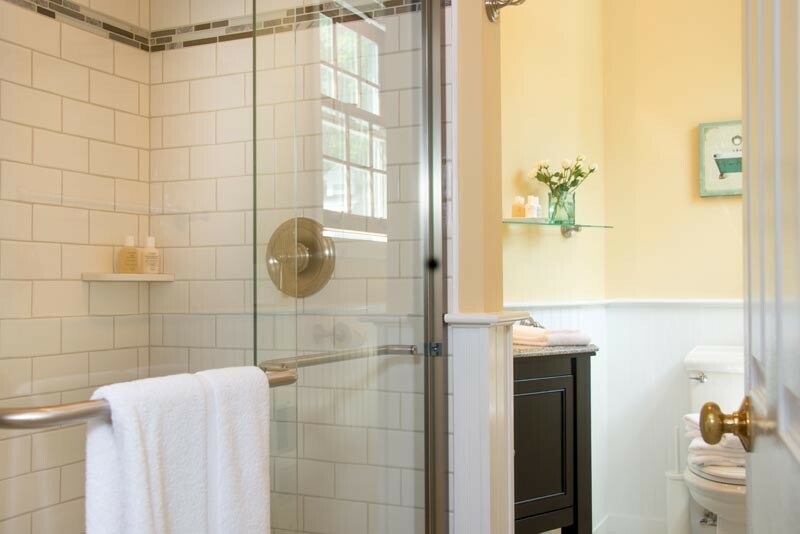 Our eight guest rooms offer all the comforts of home and more, including luxury private bathrooms, hair dryers, air conditioning, flat screen cable TV’s and WiFi. 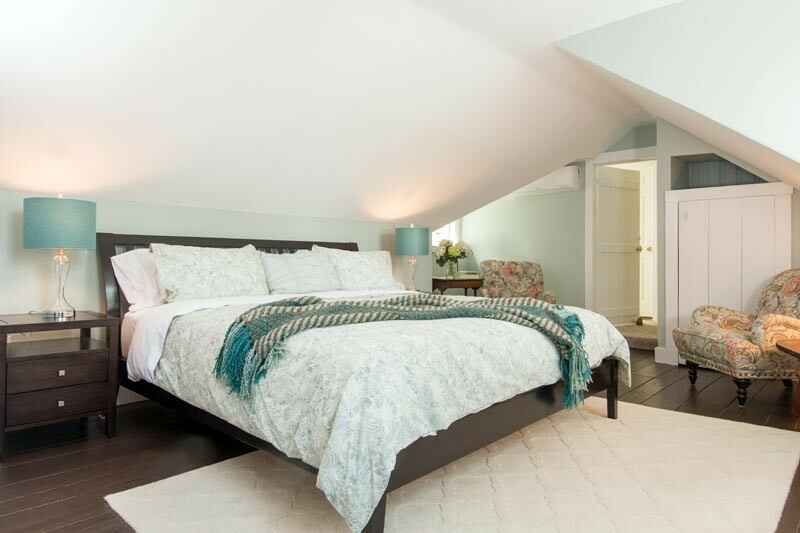 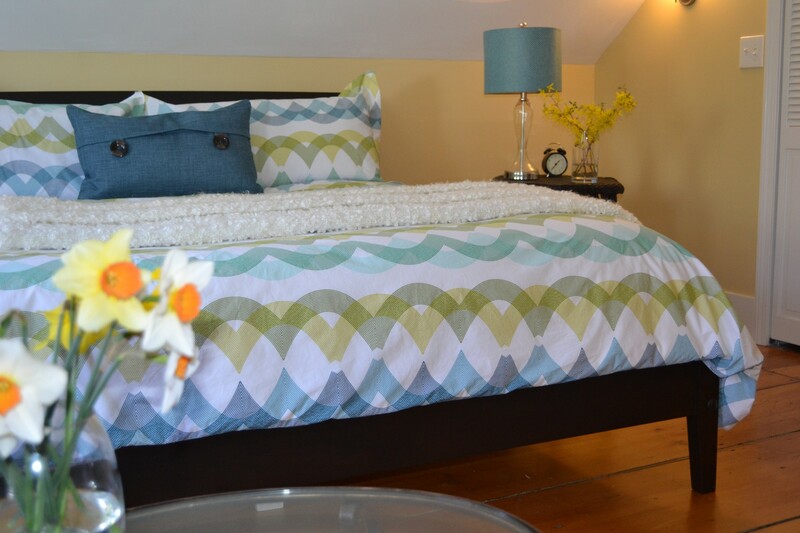 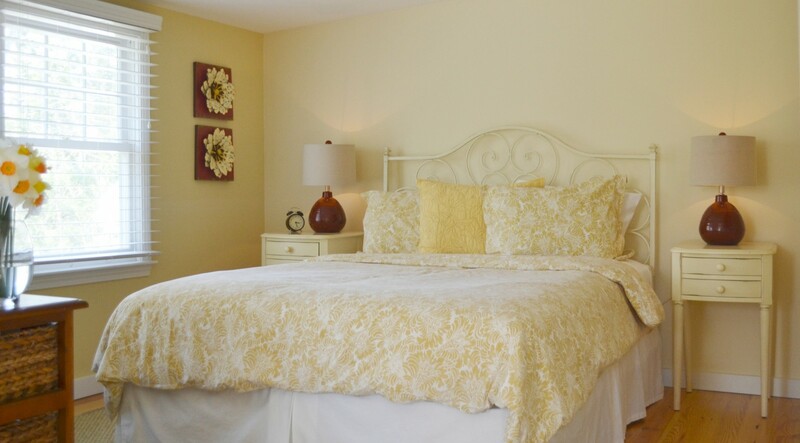 Rooms have either or queen or king sized beds, fine linens and duvets. 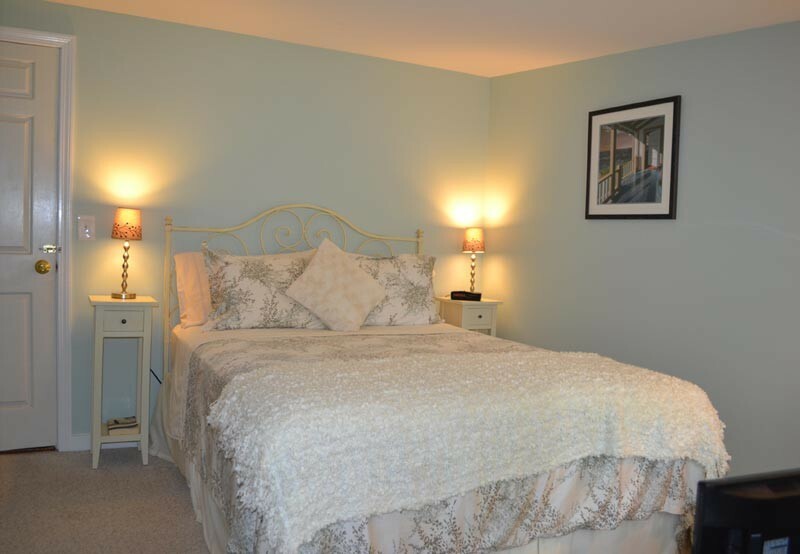 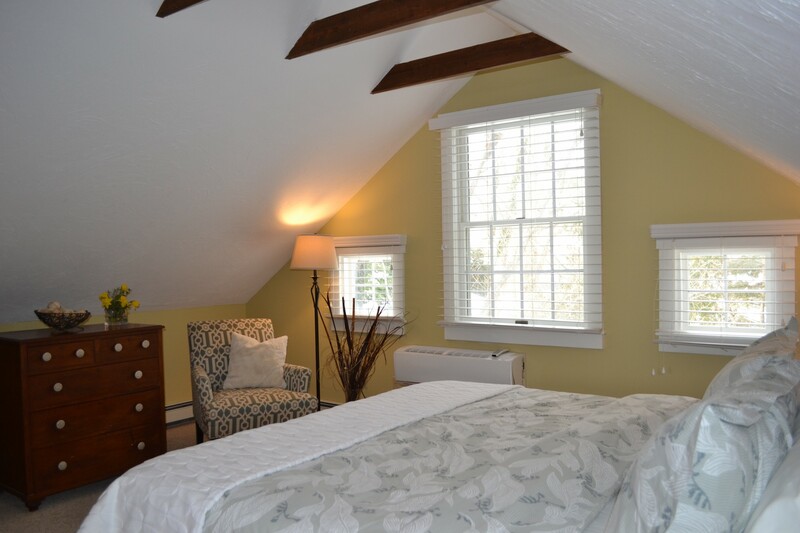 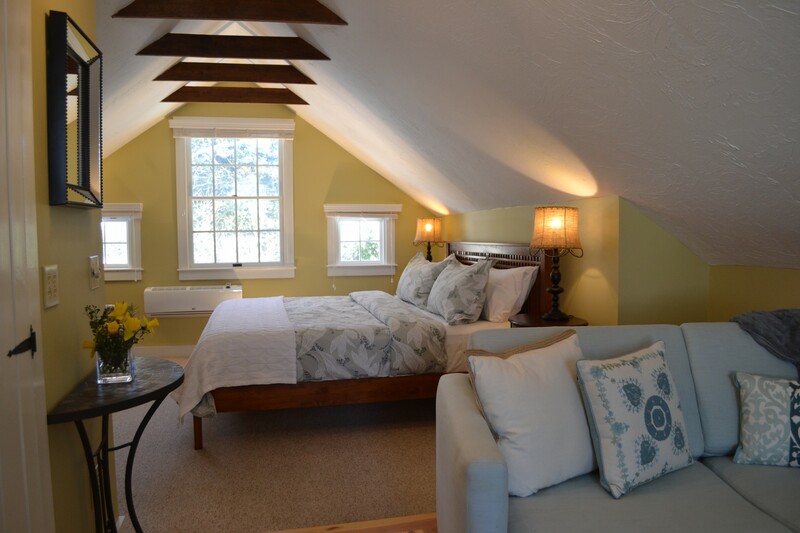 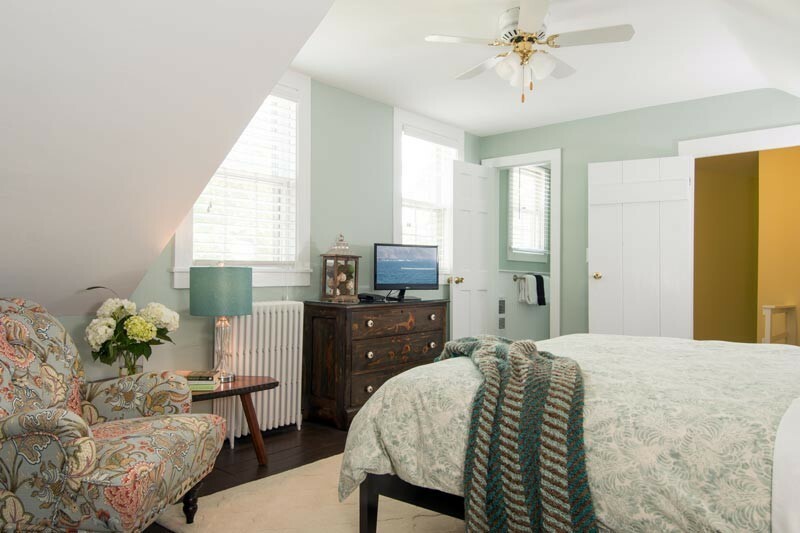 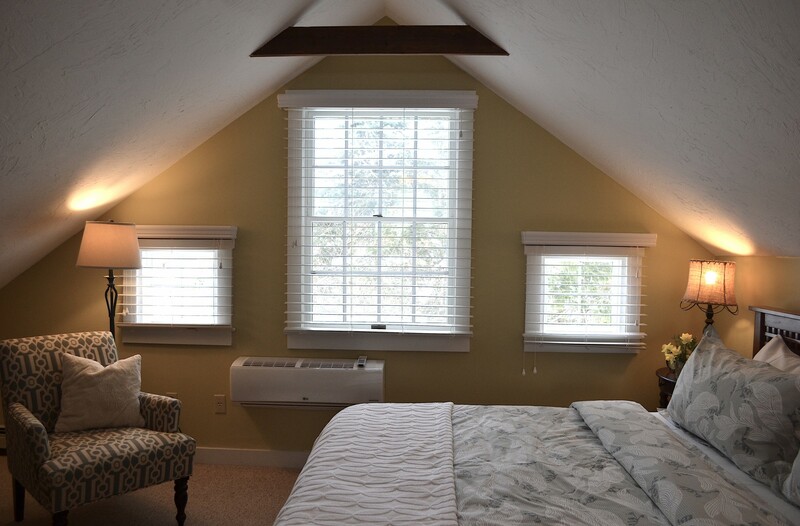 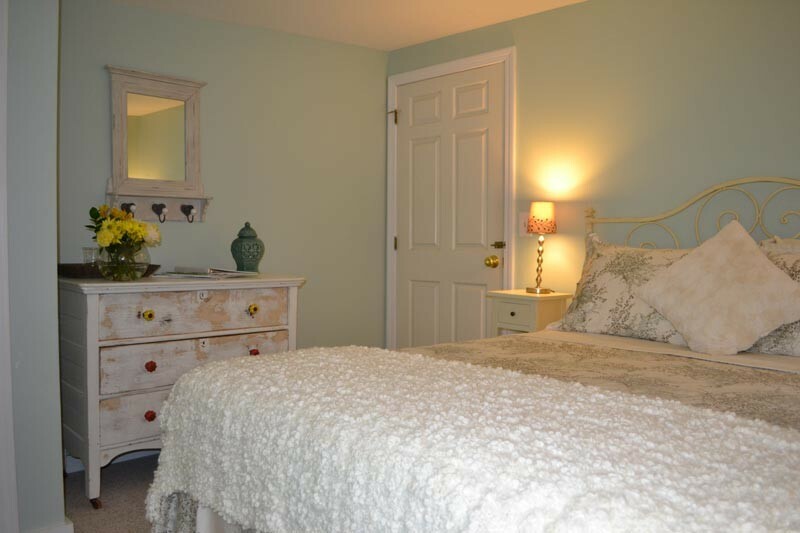 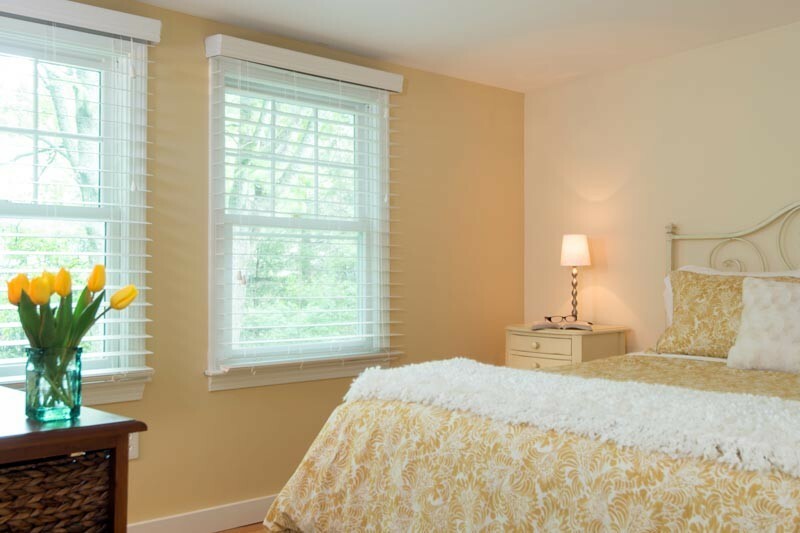 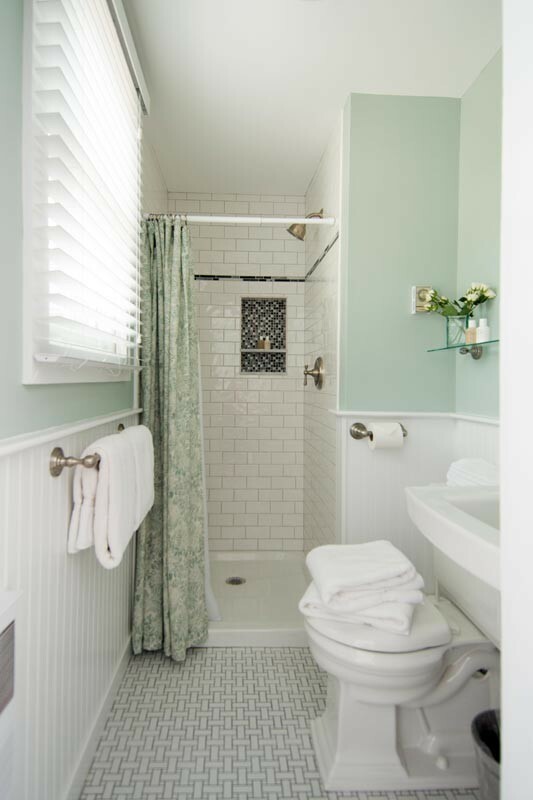 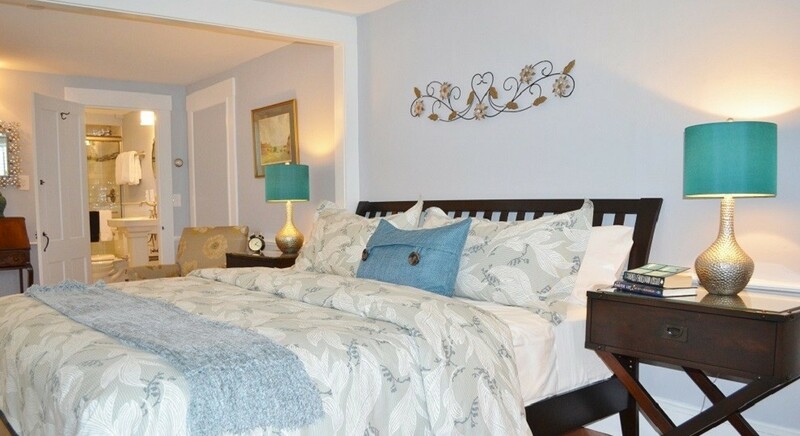 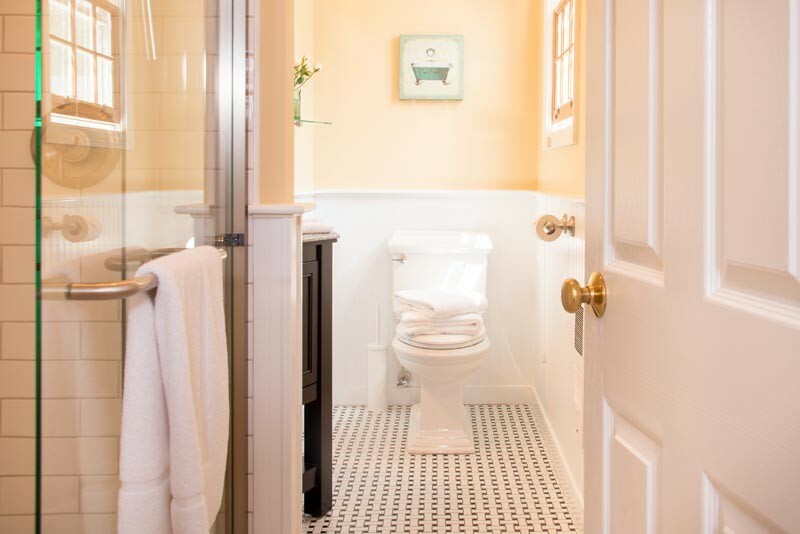 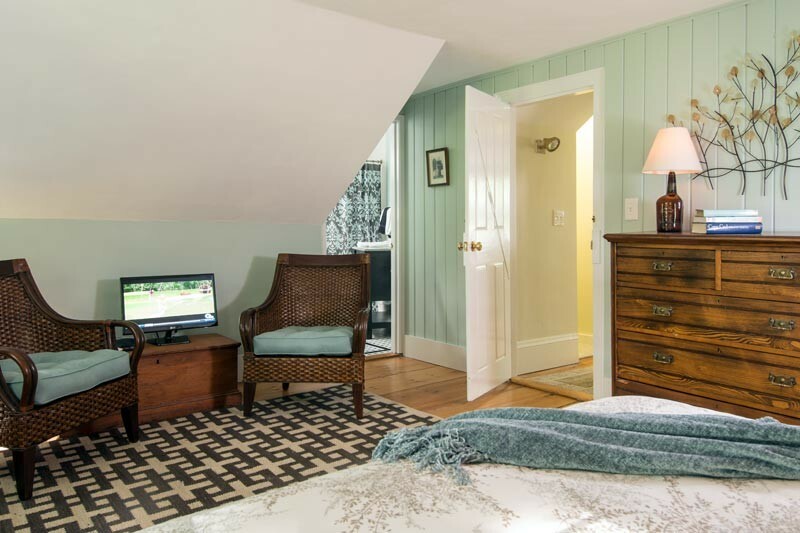 Our rooms have been individually decorated and named, offering a unique Cape Cod romantic charm. 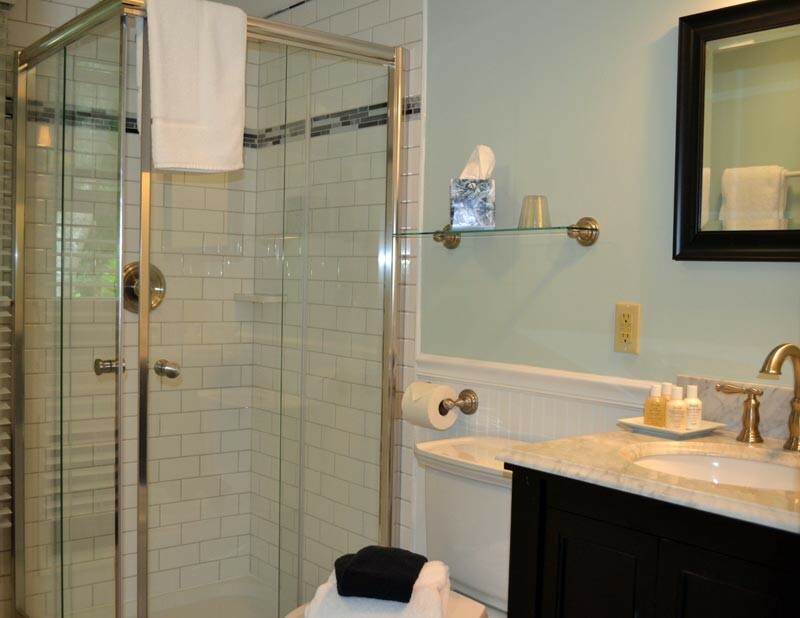 Natural based amenities from fresh and luxurious spa Turkish cotton towels are provided to our guests. 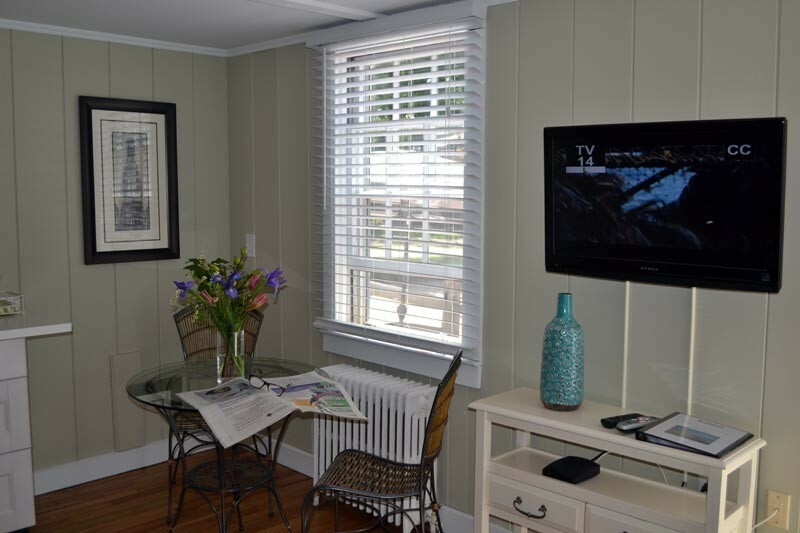 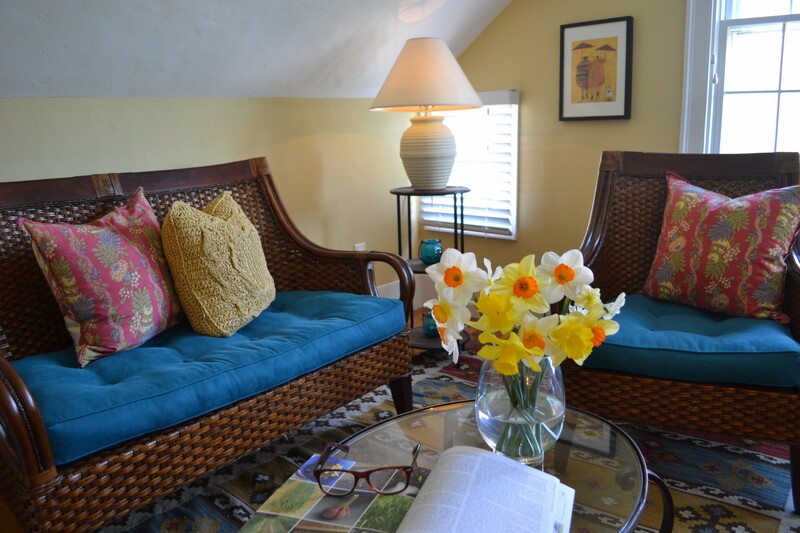 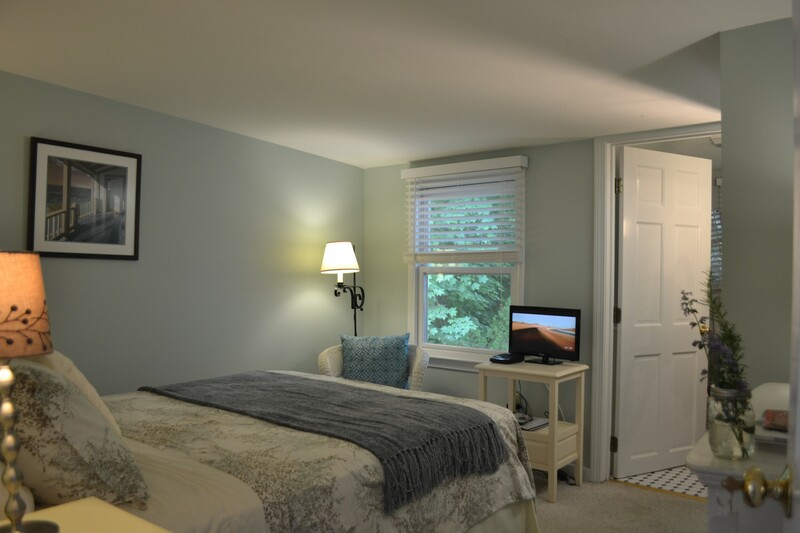 We have a printer and laptop in the lounge for your use as a guest of our Cape Cod lodging. 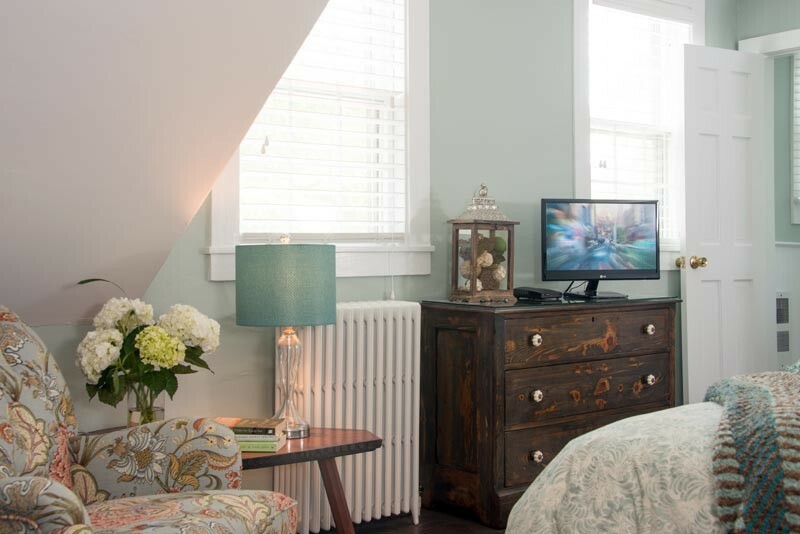 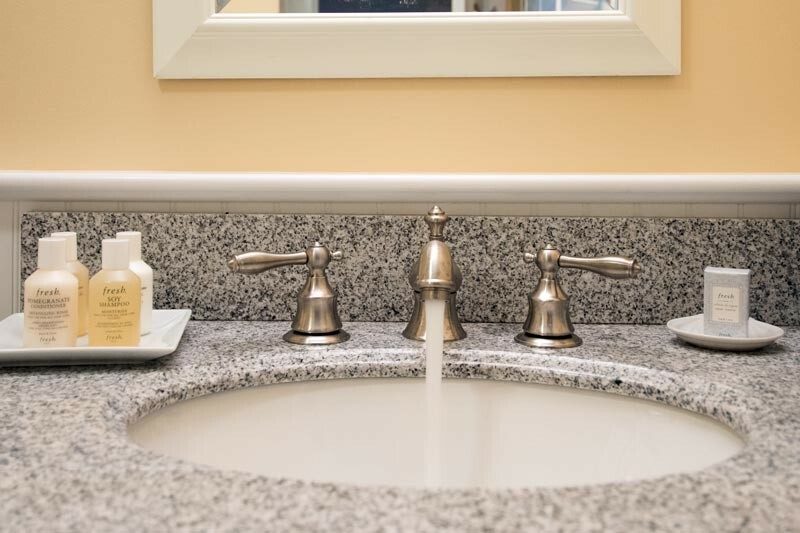 For our guests’ convenience we have a spring water dispensers, two refrigerators and Keurig coffee machines in the Inn, located in the lounge and in the second floor sitting area. 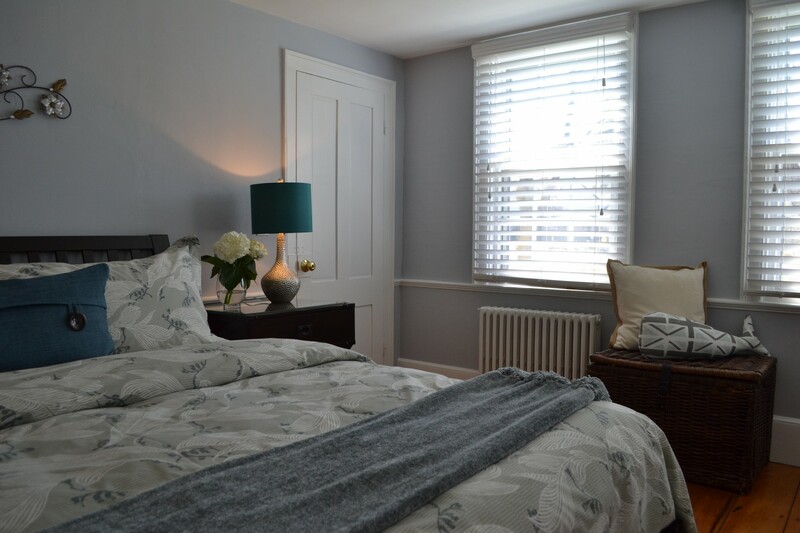 Plates, cutlery and wine glasses are in the lounge and guests can leave refreshments or wine in the fridges. 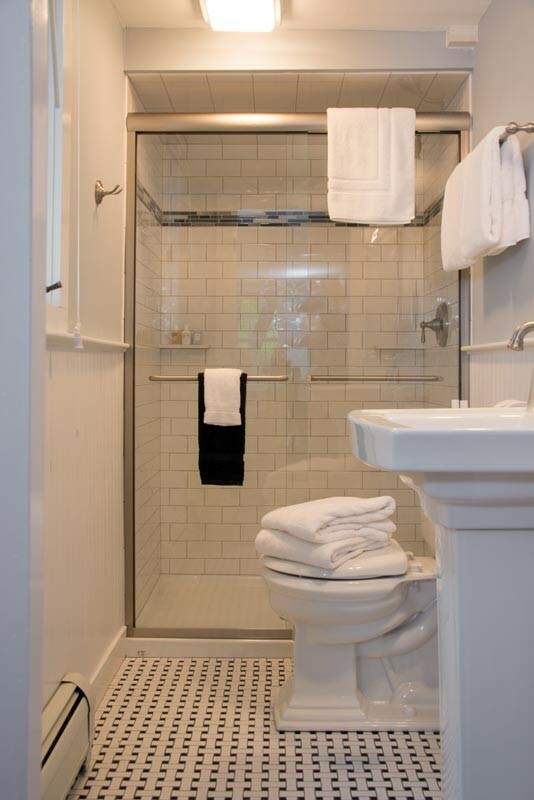 Irons and ironing boards are provided for personal use. 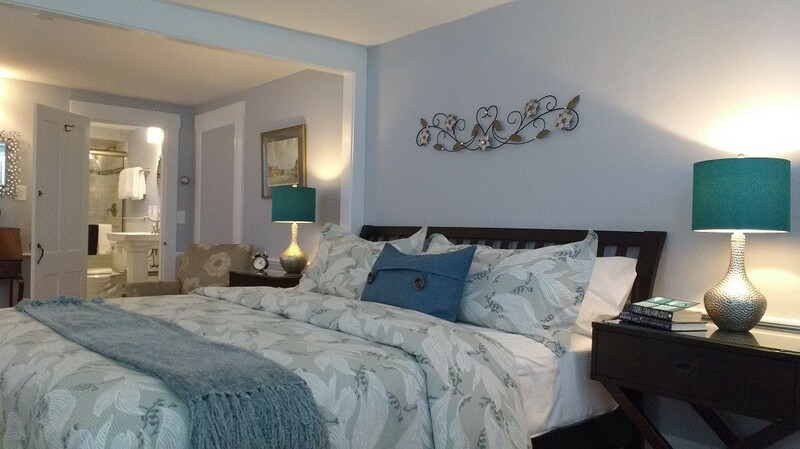 Orleans is a unique location on the Cape, close to both ocean and bayside beaches. 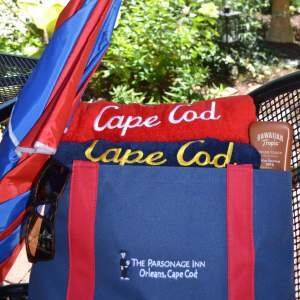 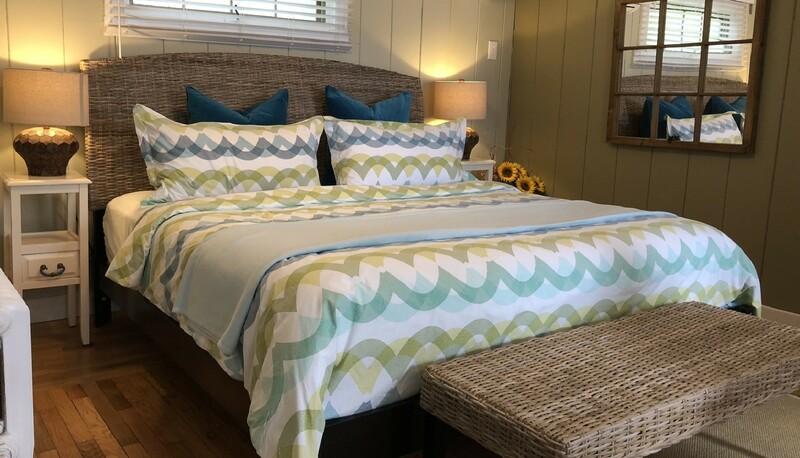 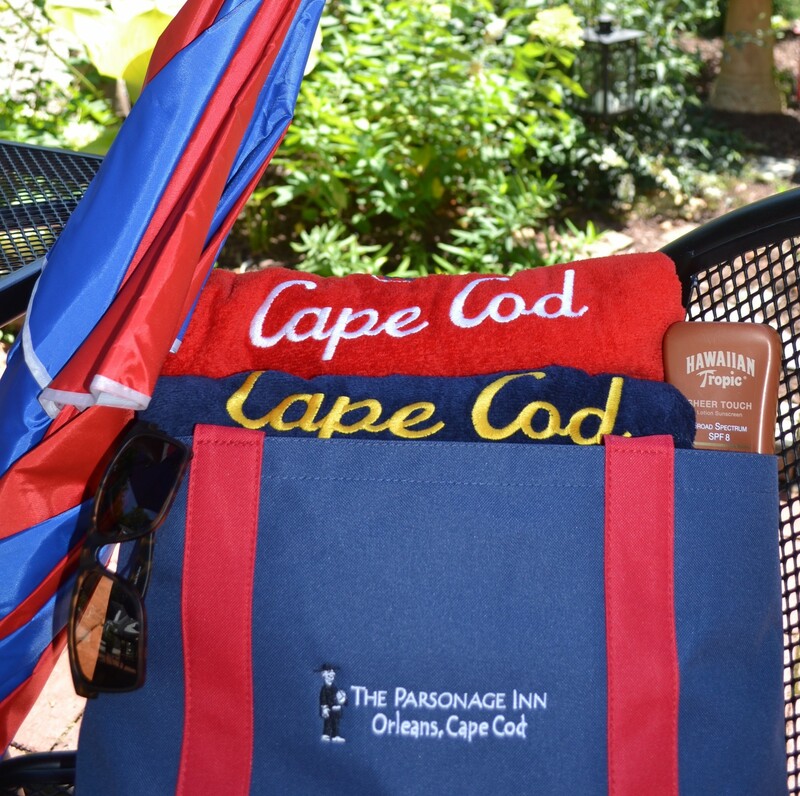 A “Parsonage Inn” beach bag and two beach towels are in each room and we have beach chairs and beach umbrellas – first come first served! 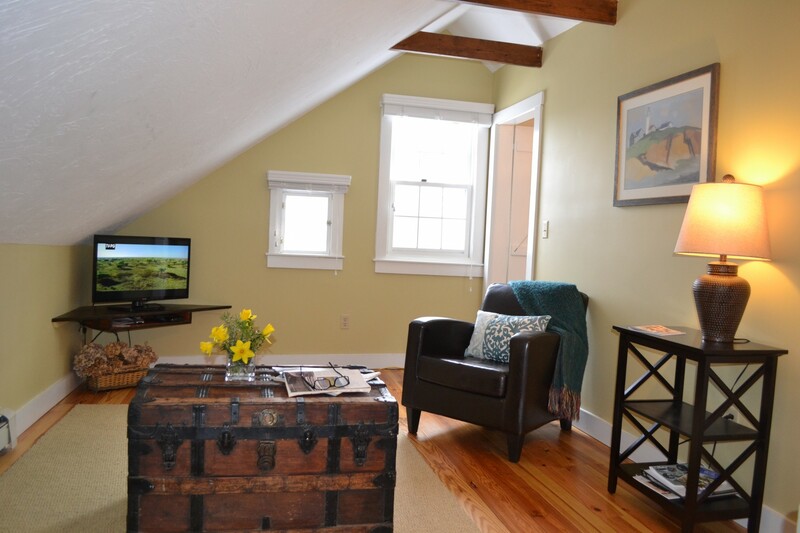 For our active guests, we are able to store your bicycles in our barn workshop.